Poptart is a handsome orange and white boy who loves his humans and laps to nap on. 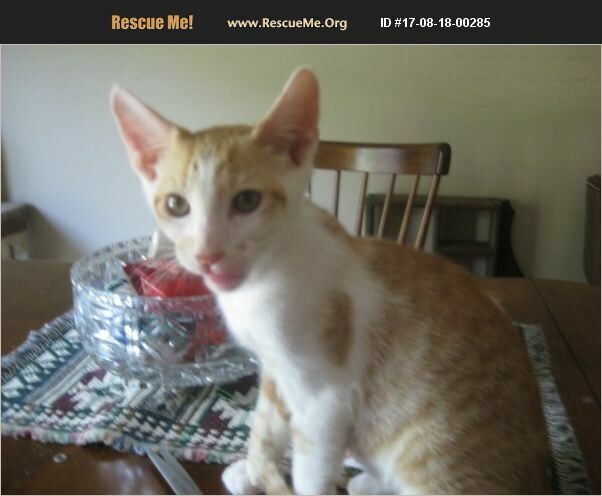 An energetic fun loving cat, he has large ears, and a triangular face, he has some characterics common to eastern breeds, but his lineage is unknown. He is neutered, was raised underfoot and litterbox trained. He is current on all vaccinations. Poptart will make an excellent family pet.